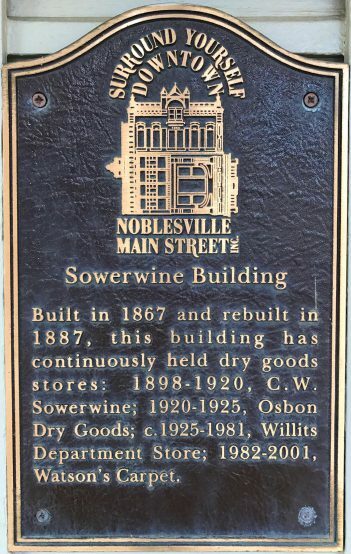 For the past eight years, the Sowerwine Building at 894 Logan St. in downtown Noblesville has most notably been home to the Old Picket Fence antique store. This week, Old Picket Fence owner Rosie Hoistion will throw a birthday party to celebrate the building’s 150-year history. At 11 a.m. Sept. 23, Hoistion is inviting the public to attend a day-long celebration, which will showcase historic features of the building, local artists, live music, birthday cupcakes and sales throughout the store. The building continually held dry goods stores before becoming Willits Department Store in 1925, the start of its 56-year tenure. 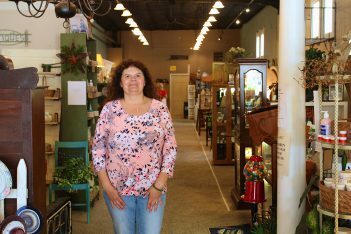 “What people most know the store by is Willits Department Store,” Hoistion said. “I still have people come in here all the time talking about going downstairs to get their dresses, and the fabric department was down there. 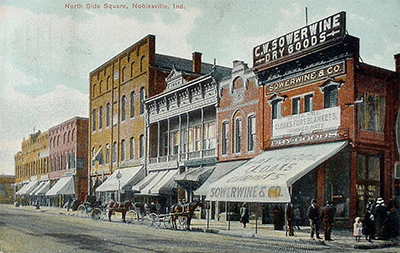 Owned by John Elmore and Mike Davis of Hamilton Properties, the Sowerwine Building houses, on the first level, Old Picket Fence antiques store, Love’s Hangover jewelry store, Pam’s Tea Shoppe and a beauty salon. The entirety of the second floor is a four-bedroom apartment. For the past 19 months, the building’s forefront business, Old Picket Fence, has been owned by Hoistion. She purchased the business from Janet Hatmaker. 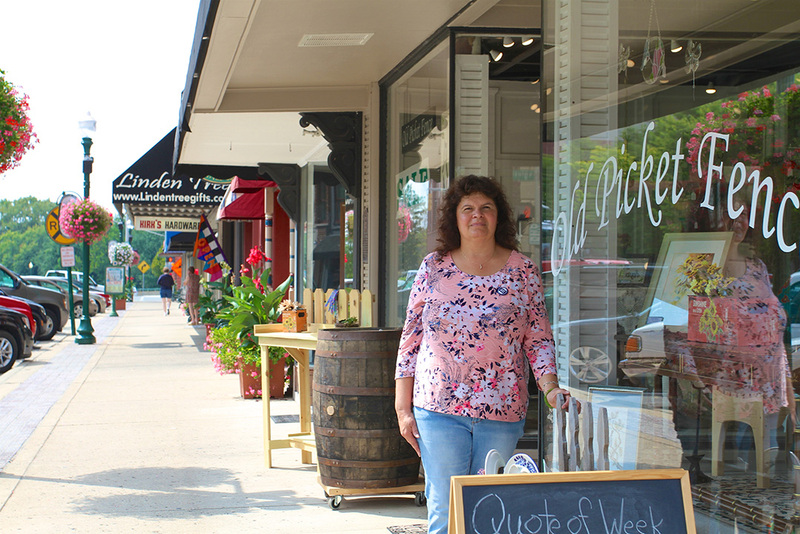 In total, Old Picket Fence has been in downtown Noblesville for 20 years total. It has been in the Sowerwine Building for eight years. Prior to that, it was at 937 Logan St., now home to Sweet Home Cupcakes, and 960 Logan St., where Platinum Living Fine Art Gallery was formerly housed. Upon Hoistion’s takeover, the basement level of the building has been painted, cleaned and reopened. Apart from those touch-ups, the building has remained mostly the same. Opening of the business for the celebration will include showings of the lowest level, including storage spaces with dirt floors, a door to a former street-level entry, where shipments were dropped off, the old elevator shaft and more. For more, call 317-774-1800, or visit noblesvillenantiques.com. What: Celebration of the 150th year of the Sowerwine Building. Tours: No admission. Open to the public.